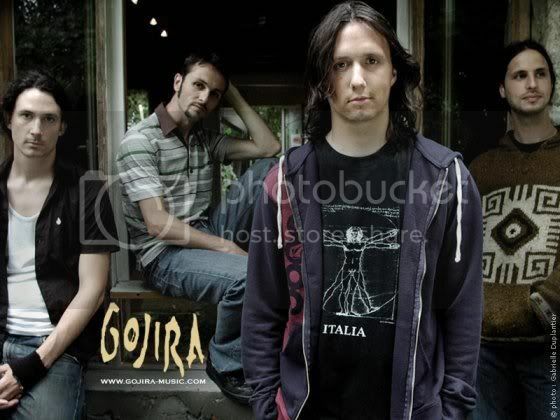 The history of Gojira begins in 1996 in Bayonne, France. Joe Duplantier(vocals/guitar)and his brother Mario Duplantier(drums)began a band called Godzilla. They recruited Christian Andreu on guitar and Jean-Michel Labadie on bass to create a super heavy metal band. The band continued with great success and changed there name in 2001 due to legal reasons, and the fact that many of the band members just thought it was lame. Before the name change Gojira had opened for many successful death metal bands including: Cannibal Corpse, Edge of Sanity, Impaled Nazarene and supported Immortal in 1999. The two albums were very sucessful and allowed the band to realease a DVD, recoreded in Bordeaux called The Link Alive. in 2005 the band signed with the record company Listenable Records which is based in France. They then recorded From Mars to Sirus which is their third and most rescent studio album. Children of Bodom, Sanctity, Job for a Cowboy, Beneath the Masscre, Trivium, Machine Head, Amon Amarth, Behemoth, and Annihilator. Gojira plans on realeasing their fourth album late in 2008. Terra Incognita This is Gojira's first studio Album. it was recorded with Gabriel Editions Studios. It was realeased in 2001 as a Progressive Death Metal Album. It has a running time of 66 minutes and 49 seconds. This is Gojira's second studio album. it was recorded by Boycott in 2003 but remastered by Listenable in 2005. This album was more directed to be a Thrash/Death Metal album. a shorter album than last, with a running time of 46 minutes and 58 seconds. 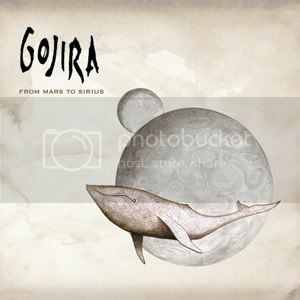 From Mars To Sirus This is Gojiras most current studio album. This album was a concept album based on a story about humanity having to save the earth. Again this album contains heavy environmentalist lyrics. It is primarily a death metal album but traces of Progressive and Trash can still be seen. Running time 66 minutes and 52 seconds. recorded with listenable Records and Prosthetic Records. 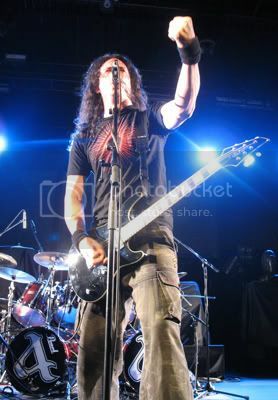 Gojira has a very unique style which is the best reason contributed to their success. The style is obviously heavy being a death metal band. The best way to describe the music is like Chugging speed. 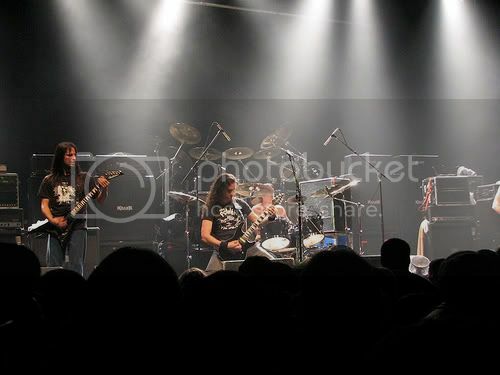 The band is known to use techniques where the drums will keep the beat with a constant speedy double kick yet the guitars will be playing very slow heavy riffs. Some songs it is hard to tell if it is moving fast or slowly. They also perform this technique by having one slow heavy guitar at the same time as a tremelo picking riff over top. Gojira has been known to sound alot like one constant break down. To people who enjoy very progressive metal Gojira may not be for you. The music progresses in a very slow manner. The idea is to keep the heavy factor up while still creating very memorable riffs and rythems. Guitar Style- Tremelo picking and open heavy chord progressions are the base for most of Gojiras music. Dispite this it seems as though Gojira uses a very light distortion. Lots of clean passages are used for intros and fills. Guitar solos are rare and may only occur once on a whole album. They replace guitar solos with more breakdowns. Bass- Follows the guitar, low, chugging and heavy. Drums- I would compare the style of drums more to mastadon then to other death metal bands. The drums are very unique. Incorporates lots of double kick, but while the double kick is going instead of having fast snare and symbols we see very slow snare. This is a major factor contributing to the Chugging Speed. The drums appear fast and slow at the same time. Vocals- The majority of the vocals are light growls. Nothing too heavy, yet not screams. We see some clean vocals but they are not common, and it seems to be not wanted, the clean vocals are sung in english with a heavy french accent which sounds very choppy. Gojira is unique to their style but i have found a few bands that are comparable. The first is Messugah cnt..